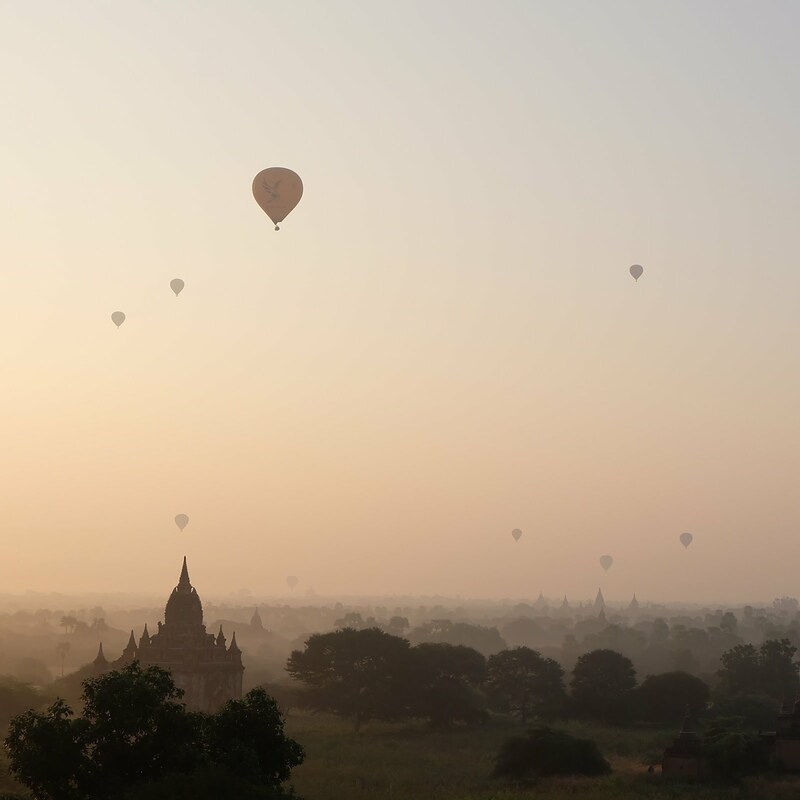 Travel . Food . 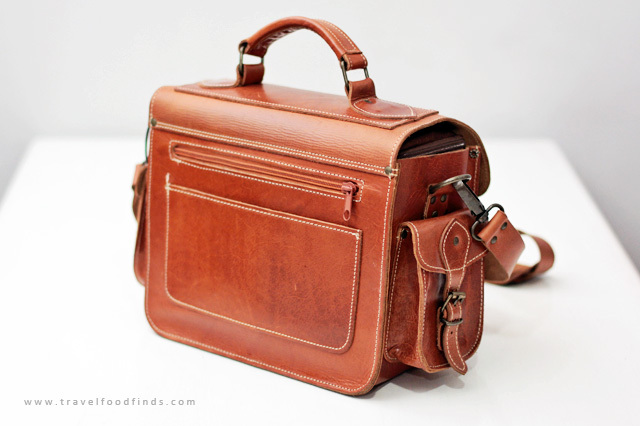 Finds: Leather Camera Bag | Grafea UK. 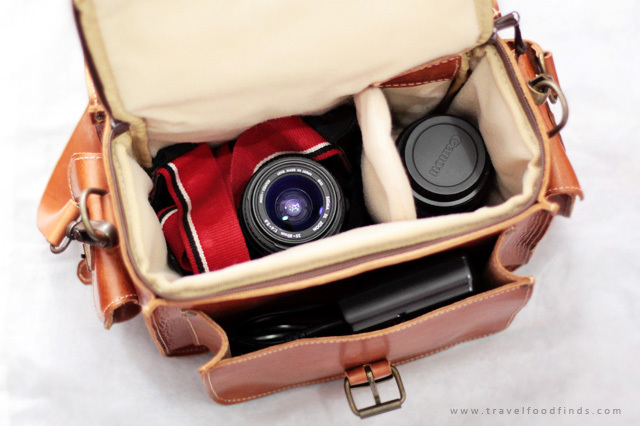 Leather Camera Bag | Grafea UK. When I saw this Grafea camera bag in Schu last year, my heart skipped a beat. I was instantly in-love and knew that I had to have it. 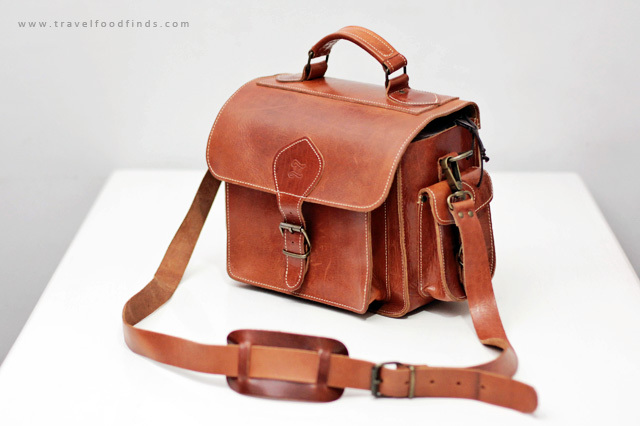 a leather camera bag that looks classic and sturdy enough to hold my DSLR. This bag, without doubt, is the perfect one. The shoulder straps are detachable. The hardware looks it could survive heavy camera equipment. I love how this bag has a lot of pockets. The back alone has two. It also has two side pockets which could hold extra batteries and memory cards. The padded insert is removable and zips for added security. It also has removable padded dividers. My camera charger fits perfectly in the front pocket. But since I have an extra battery, I do not usually carry around my charger. so I could use that extra space for my wallet and other travel essentials. 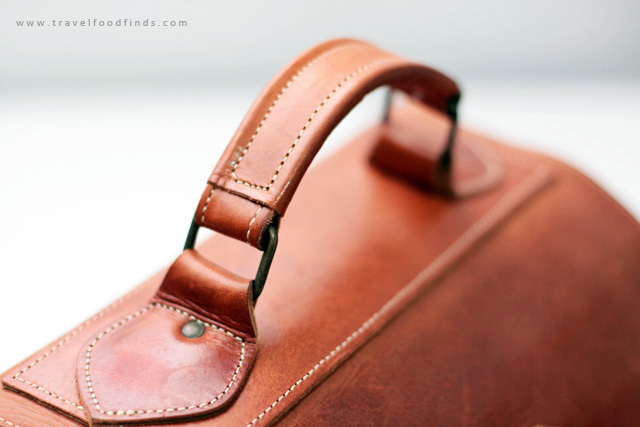 this bag is incredibly beautiful with impressive craftsmanship. H 8.2" x W 14.1" x D 7.6"
Also comes in brown, black, and pink. Yes, PINK! I can't wait to take it with me in my travels this year. 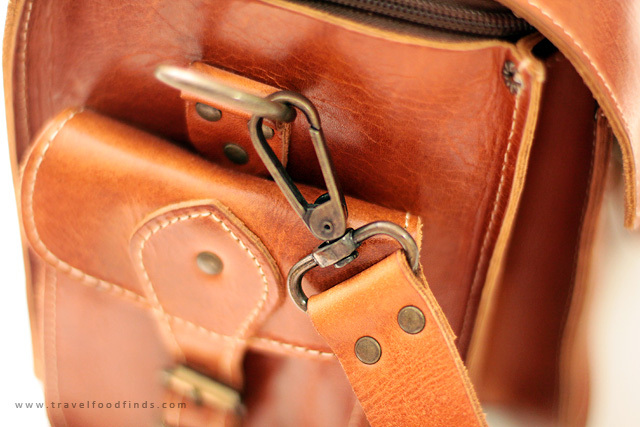 Grafea makes gorgeous leather satchels, briefcases, rucksacks, women's purses, and travel bags. 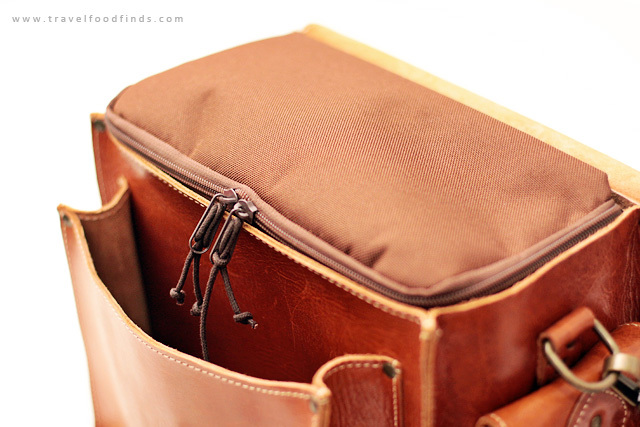 I am super in-love with their Wine Bucket bag (in caramel) and their Holdalls! I want! Okay sounds good! Thanks for helpful information. :) Sorry for bothering you but one more thing crossed my mind and I was thinking if you could help me with this one too. You must know it's quite uncomfortable to carry around heavy photography equipment and genuine leather might be very heavy sometimes, right? I couldn't find any note about the weight of the bag and I'm hoping it isn't extra heavy when it's empty. It might be that it's just me being blind and it was mentioned somewhere in Grafea's home page. 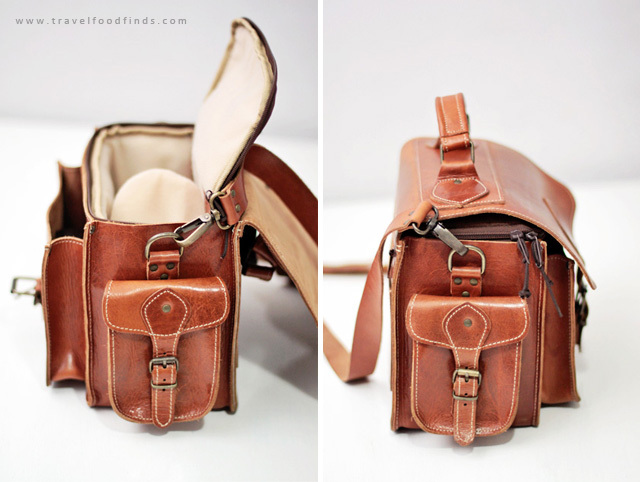 If you have the knowledge about the weight of this beautiful camera bag, I would be very grateful if you could tell it to me too? :) Thank you! is the internet taking away your reality? It’s Always a Fiesta with May Sparkling Grape Juice! 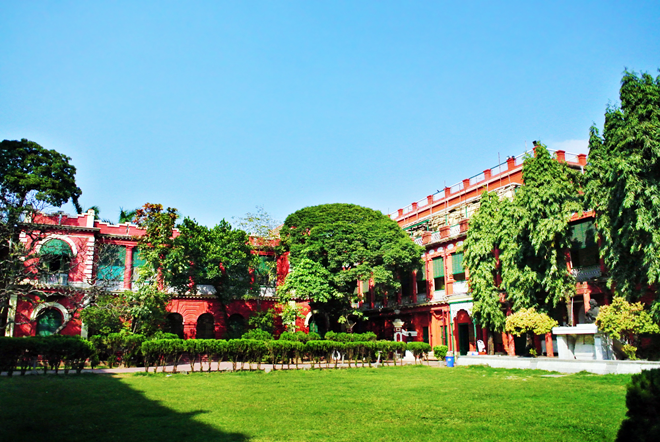 Kolkata, India | Part Two. Photos and texts are all mine unless otherwise stated. If you want to borrow anything from this site, please email me at absiroy@gmail.com. You can also follow me over at twitter or instagram (@travelfoodfinds). 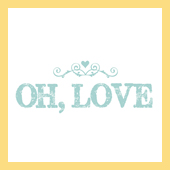 Do visit my personal blog, too! : ) Thank you! Camiña Balay Nga Bato | Iloilo City. Ten Must-Do in Dakak Park and Beach Resort. Beijing | Panjiayuan Antique Market. List of Countries Filipinos Could Visit Without a Visa.